Amazon says it's moving to National Landing in Northern Virginia. If you're wondering where that is, you're not alone. News4's Cory Smith reports from Crystal City. 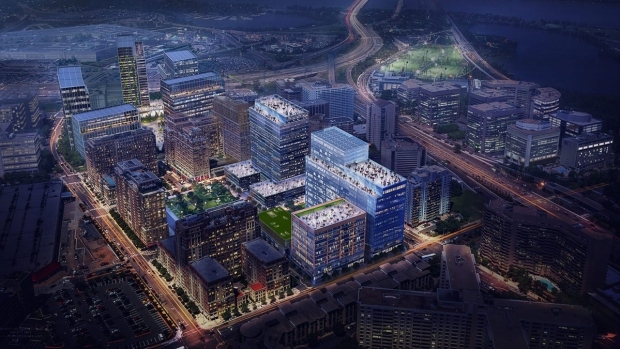 You've heard of Crystal City, Pentagon City and Potomac Yard, but ... National Landing? National Landing is where Amazon and Virginia officials announced Tuesday morning that the tech giant will open a new headquarters. The site is comprised of parts of Crystal City and Pentagon City in Arlington County, and Potomac Yard in the City of Alexandria. National Landing is not a place name in wide use in the D.C. area, as locals and Twitter users were quick to point out. "It was created today. 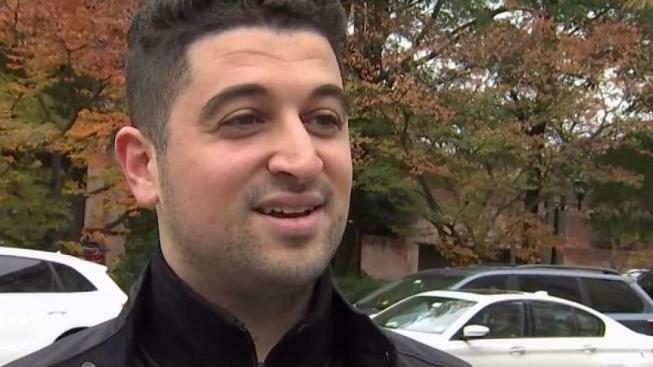 Made-up name," Crystal City resident Donna Grouse said on the streets of the neighborhood. "Amazon wants to take the world over, but they don't need to change everything that's already been set," she said. On Twitter, one user opined, "HOW ARE YALL GENTRIFYING AN ALREADY GENTRIFIED AREA WHAT IS A NATIONAL LANDING." "I've lived in the area for more than 12 years and never heard 'National Landing' not even in reference to the runway at @Reagan_Airport ... Did @amazon just rebrand @crystalcityva?" NBC4's own Tommy McFly asked. Amazon and local officials explained. "National Landing is a newly branded neighborhood encompassing parts of Pentagon City and Crystal City in Arlington, and Potomac Yard in Alexandria," Arlington spokesman Ryan Hudson said in an email. Can I just beat the rush and just start calling National Landing "NaLa"? Here's how Amazon put it: "Straddling both Arlington County and the City of Alexandria alongside the Potomac River, National Landing is positioned to propel Amazon’s growth for decades. The vibrant, energized community and abundance of diverse housing will be a magnet for top-rated talent. And, if business takes you elsewhere, simply walk to Reagan National Airport or take every other conceivable kind of transit to your destination." Stephen Koteen, who works in Crystal City, said he saw the advantages of the National Landing name. "This is a very competitive area. If they can go ahead and rebrand something and make it their own, that's a big deal for them," he said. The area is less than three miles south of D.C., on the west bank of the Potomac River. Amazon's Virginia offices will be developed by JBG Smith, which described National Landing as a "newly defined, interconnected and walkable neighborhood" that already has offices, apartments and hotels.